About 65 A.D., the apostle Peter warned the Christians in his day to be aware of false teachers coming into their congregations: “But there were also false prophets among the people, just as there will be false teachers among you” (2 Peter 2:1). Since this is the case, how do we go about identifying these false teachers? We are not left in the dark for there are certain obvious signs of their devious ways. First, they are very sly and deceptive in how they bring in their false teaching. The Bible warns over and over again that we must not be naïve. Things do not always appear as they really are. Jesus taught his disciples to be alert: “Watch out for false prophets. They come to you in sheep’s clothing, but inwardly they are ferocious wolves. By their fruit you will recognize them” (Matthew 7:15-16). 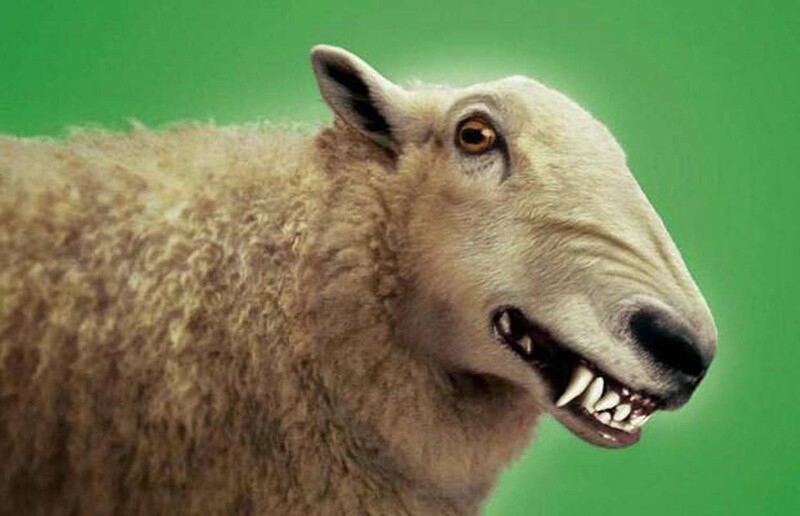 Notice in this metaphor that the false prophets would not appear as wolves but as sheep. There is a vast difference between the two. Peter gives us the first mark of their identity by describing the deceptive way they would carry out their work: “They will secretly introduce destructive heresies…” (2 Peter 2:1). “Secretly introduce” is from [παρειςαγω—pareisago], and means to bring in teaching deceptively and craftily and lay it down beside the truth. This is exactly what Paul had in mind when he worried about the Corinthians being led astray by sly teachers: “But I am afraid that just as Eve was deceived by the serpent’s cunning, your minds may somehow be led astray from your sincere and pure devotion to Christ” (2 Corinthians 11:3). Satan disguises himself as an angel of light and therefore it should not be thought strange that his messengers would masquerade as ministers of Christ. We must beware of deceptive teachers. Peter further describes these false teachers as “even denying the sovereign Lord who bought them…” (2 Peter 2:1). One may identify a false teacher if he denies the verbal inspiration of the Bible, the virgin birth, the resurrection of Christ, the deity of Christ, and the necessity of baptism “for the remission of sins.” When one denies the truth of the gospel it is tantamount to denying Christ. Paul was afraid false teachers were leading the Corinthians away from Christ and he wrote to them in his second letter, “For if someone comes to you and preaches a Jesus other than the Jesus we preached, or if you receive a different spirit from the one you received, or a different gospel from the one you accepted, you put up with it easily enough” (2 Corinthians 11:4). Christian people should not “put up” with these negative nay saying false teachers, not even for one hour! These false teachers can be further identified by their lust for sensual fulfillment instead of spiritual growth and fruit. “By their fruit you shall know them” said Jesus. Peter declares, “Many will follow their shameful ways and bring the way of truth into disrepute” (2 Peter 2:2). Many so called ministers of Christ are caught up in fornication, adultery and filthy living and give Christianity a bad name. In this same context Peter describes these false teachers, “With eyes full of adultery, they never stop sinning; they seduce the unstable; they are experts in greed—an accursed brood” (2 Peter 2:14, NIV)! False teachers identify themselves as they demonstrate the works of the flesh instead of the fruit of the Spirit (Cf. Galatians 5:19-23). Finally, these false teachers can be identified by their “love of money” and merchandising spirit. Peter writes, “In their greed these teachers will exploit you with stories they have made up…” (2 Peter 2:3). These false teachers then and today are not ministers of Christ, but merchandisers of Satan. Many of the prominent evangelists today preach “the gospel of greed,” promising their gullible listeners that if they will send in their money to them, God will also make them rich. These false teachers were unlike Paul who said to the Thessalonians, “For neither at any time used we flattering words, as you know, nor a cloak of covetousness; God is witness” (1 Thessalonians 2: 5). These greedy false teachers will “exploit you with stories they have made up” (2 Peter 2:3). In the original language Peter uses the word [πλαςτοs—plastos], from which our word plastic is derived. Today plastic is used in almost everything because it is pliable and bendable. Therefore the idea is that these false teachers would make up stories and bend them to where they sounded like the truth. This “gospel of greed” is a gospel of a different kind from what we find in the New Testament (Cf. Galatians 1:6-9). Let everyone who loves the truth be alert to false teachers and their doctrines of devils.